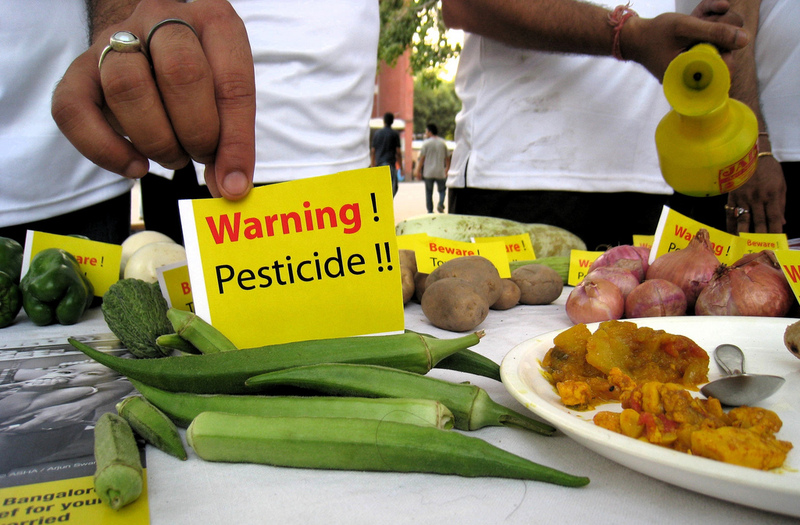 According to a report by Nutrition Today, the perception of health risks related to pesticide use on crops ‘may be having a negative impact on consumption of fruits and veggies among low-income consumers.’ Specifically, the report focuses on the prevalence of ‘fear-based messaging tactics’ employed by activist groups which rail against non-organic crops. Such methods are said to be enough to put low-income consumers (upon whom the report focuses) off the consumption of fruits and vegetables in general; be they organic or not. It’s no secret how important fresh fruits and vegetables are to a balanced, healthy diet. The UK government recommends five portions per day; being, as they are, a key source of vitamins, nutrients and fibre. Where, then, does the crux of the issue lie? Is it with the employment of such ‘fear tactics’ by such activist groups? If so, it would imply the arguments which underlie them are illegitimate: if they scare people away from consuming fruits or vegetables in general, then perhaps they are doing more harm than good. Then again, the problem might also be the interpretation of such campaigns by their target audience: as consumers seem unable to distinguish between a warning regarding non-organic products and a warning regarding organic ones, perhaps the case is either one of public education or, more likely, the question of whether pro-organic campaigners need to amend their marketing and communication techniques. In either circumstance, one thing is clear: it’s no longer purely the case that non-organic produce is arguably a risk to public health: now, we can see, the very debate surrounding them, is itself a cause for concern.